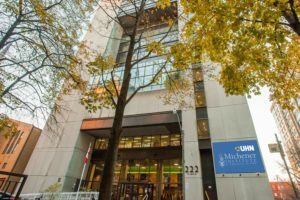 Find out what sets Michener apart with a general campus tour. Let a member of our Admissions and Recruitment team introduce you to the St. Patrick Campus and answer your questions about our academic programs, campus facilities, support services and much more. Campus Tours will resume in the Spring of 2019. If you are interested in touring our residence facilities please contact success@michener.ca or 416-596-3141 to schedule your visit.